On November 15, 2018, over 1,700 business leaders in 19 cities across the U.S. and Canada slept on the streets by participating in the Covenant House Sleep Out – Executives Edition. 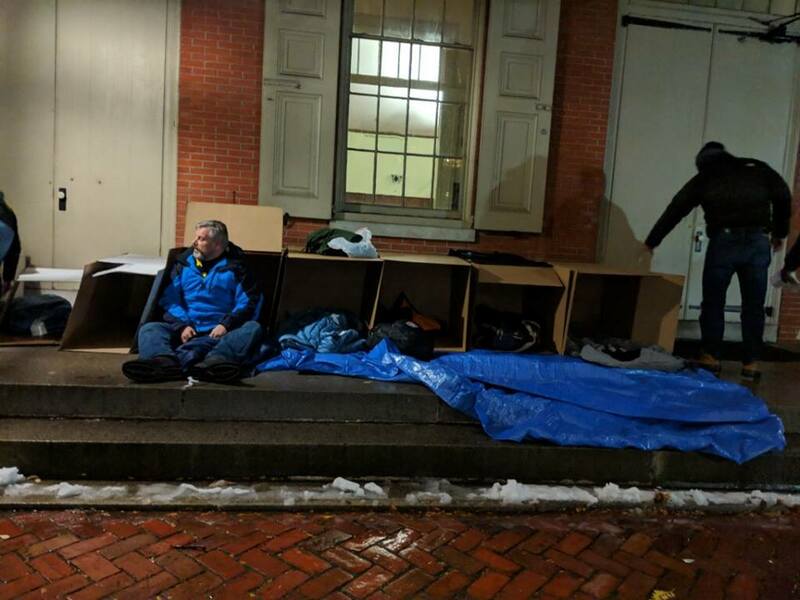 In Philadelphia, Flaster Greenberg shareholder Jeffrey A. Cohen joined 100 local business leaders to sleep on the streets of Philadelphia with the goal of raising awareness and money for youth overcoming homelessness through the Covenant House Pennsylvania. The Covenant House Sleep Out – Executives Edition took place on the corner of 15th & Cherry Streets in Philadelphia from 6:00 PM – 6:00 AM. The night consisted of each team making shelter out of a small tarp and cardboard box, as well as attending educational workshops to learn about what the Covenant House does for the youth affected by homelessness and meetings with some of the kids who recently came into the shelter. Cohen was accompanied by several well-known Philadelphia executives, including Dan Esposito, Member of the Board of Directors of the NFL Alumni Association – Philadelphia Chapter, and Nick Bayer, CEO & Founder of Saxbys. Each year in the U.S. alone, as many as 2 million youth experience a period of homelessness, and every year more than 5,000 of these young people lose their lives to the streets. The Covenant House Pennsylvania is a program for young people in desperate situations age 21 and under. Their goal is to help homeless young people become healthy, happy, responsible, productive, and ultimately independent adults. For more information, or to donate, click here.